Short story: 94 POINTS, single-vineyard, Solomon Hills pinot, and a wine company based in Napa that went crazy for it and THEN went to extreme lengths to get a few cases to sell you. A MUST if you love serious pinot! What a price!! Ryan Cochrane, proprietor and winemaker, has a story we might all identify with. He did a stint making wine back in 2009, then quit his advertising job, risked it all, and made some pinot. And he MADE it. And now he makes wine for a bunch of other successful people. Life is good. 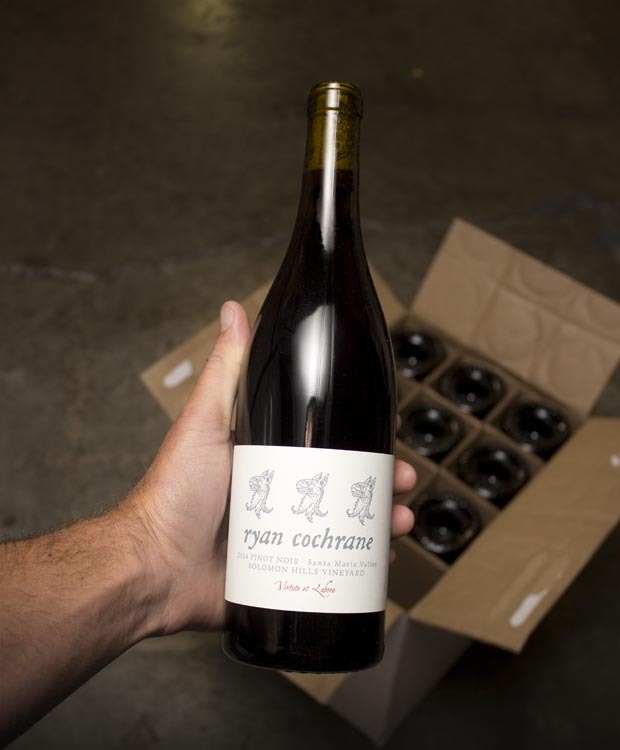 And the wine is CRAZY GOOD, so it’s nutty to have a little of this 94-pointer in OUR warehouse to sell you ---- at the best price you will ever see, natch, ‘cause that’s how we roll at Last Bottle (and we love you unconditionally). You can read the 94-point review, but let’s just say this: INTRICATE. Deep and layered, with sweet ripe fruit, spicy wood and herb notes, freshness and ripeness all inter-playing around in your happy, happy mouth. Can’t really imagine this singing much more than it already is ---- drink with unbounded joy --- esp. at our price!! RIGHT? While it lasts…!